If there is anything Queen B cannot do! 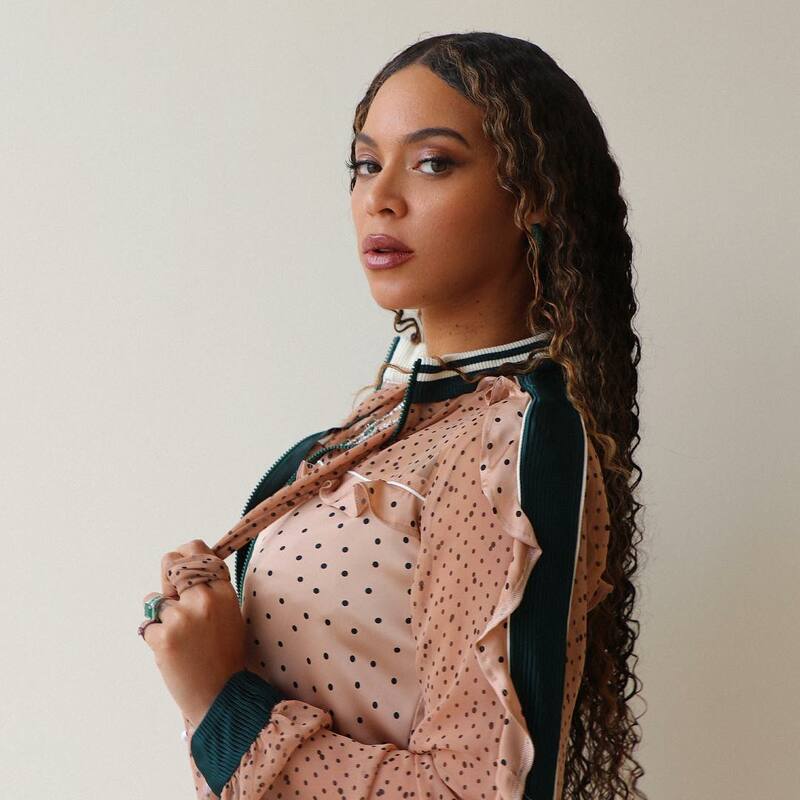 Superstar Beyonce is not a regular poster to social media networks, but when she does, she usually stirs up a storm. The music sensation posted a series on snaps on January 25th, wearing a glamorous outfit not everyone can pull off! The glamazon, with over 123 million followers, showed off her slinky style merged in with some funky accessories and put on a sensational high-end ensemble together. 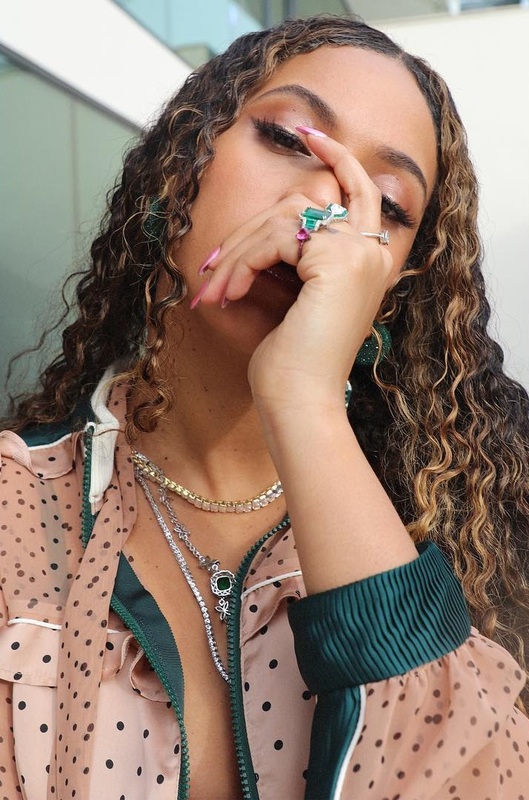 Beyonce wore her hair long and curly and topped off her style with a glowing makeup look and a dark hue on the lips. 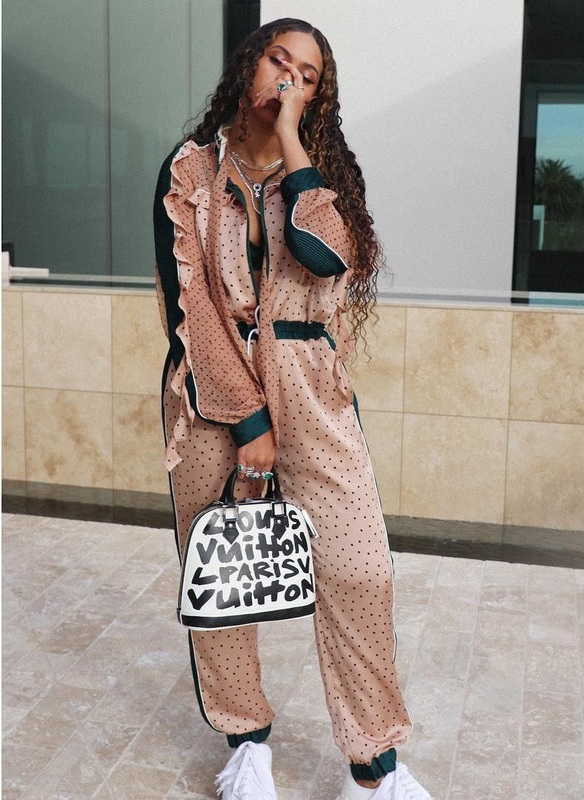 A total breakdown of the songstress's chic outfit includes Sacai Polka Dot Pleated Satin Jumpsuit ($1,225.00), Louis Vuitton x Stephen Sprouse Monogram Graffiti Alma MM Bag ($2,250.00) and Ports 1961 Lace42 Sneakers ($565.00).